Baltimore has made a year-long celebration of Edgar Allan Poe’s 200th birthday with its Nevermore 2009 extravaganza. The festivities continue with some appropriately spooky events befitting the master of the macabre. Click here for a listing of Poe-inspired happenings taking place from October 7 – 11, and beyond. Attend an all-night candlelight vigil at the Poe Monument (left) at the Westminster Burying Ground or witness Poe’s funeral (he died a mysterious death in Baltimore). 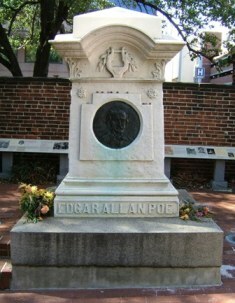 There are also walking tours and other special events, including an exhibit at the Baltimore Museum of Art, “Edgar Allan Poe: A Baltimore Icon,” on view until January 17, 2010. It’s divided into three sections—Love and Loss, Fear and Terror, and Madness and Obsession—and features prints, drawings, and illustrated books inspired by Poe, among them works by Gaugin and Manet. If you can’t make it for the Nevermore 2009 festivities you can always pay a visit to the Poe House and Museum, which is open April through November. For those who want more literary haunts, later in the week we’ll have information on eerie events taking place this month at the House of the Seven Gables in Salem, Massachusetts, and other sites. The Boston Public Library is also opening a temporary exhibit in honor of Poe this December. 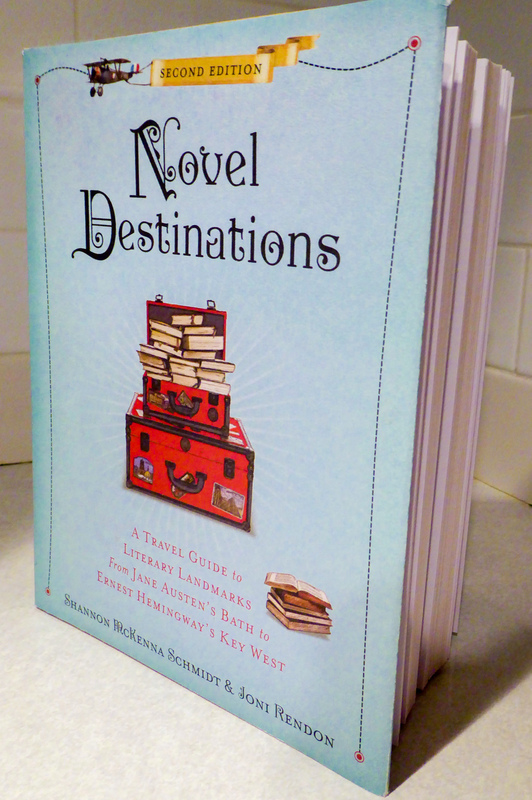 Poe is also a “Big Read” author this year, with celebrations in Texas, Michigan, Connecticut, and Kansas. Really, no American should be able to get through 2009 without realizing this is Poe’s bicentennial! What cities in Texas, Michigan, Connecticut,and Kansas are doing this??? I might go to the place in Kansas if I know where it is being done. I am reading Poe at the Belmont Winery, Leasburg, MO, the evening of October 28th, 2011! Join me?